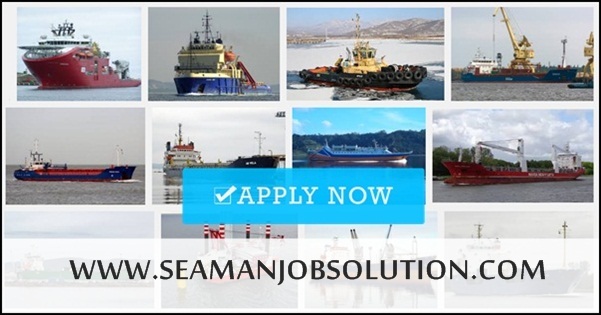 SEAMAN JOBS INFO - Posted 9/21/2018 KJCM Maritime Corporation opening hiring recruitment officers, engineers, ratings joining October-November 2018. 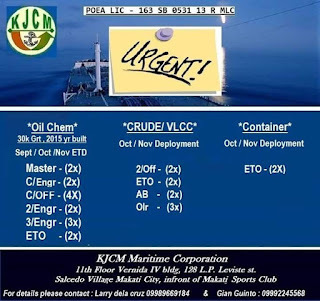 Preferably w/ ME-B, electronic engine ( Camless ) ETD Mid Oct.
For Details, please come and visit our office at KJCM Maritime Corporation, 11th Floor Vernida IV bldg, 128 L.P. Leviste St Salcedo Village, in front of Makati Sports Club. 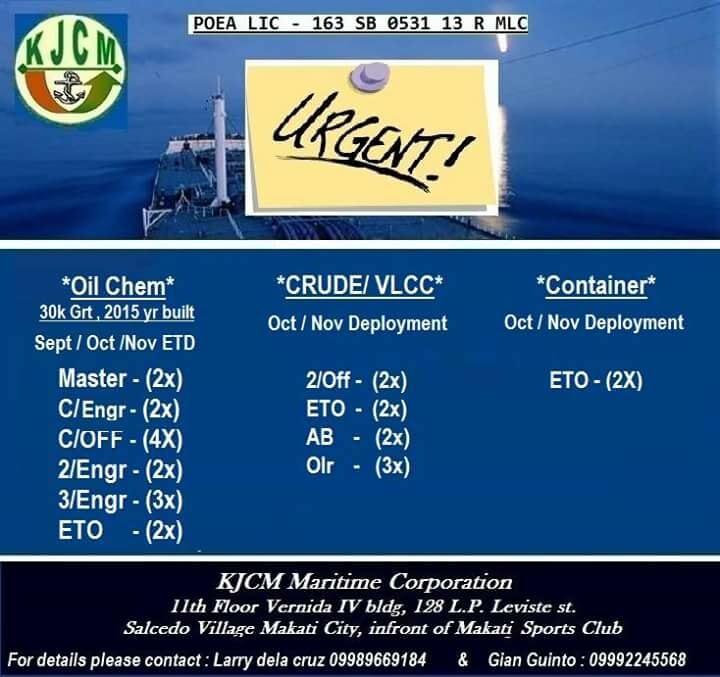 0 Response to "Hiring Crew For VLCC, Oil Chem, Container Ship"